Luke Humphries reached the quarter-finals on just his second appearance at the competition and will now lock horns with highhly-fancied Michael Smith. Who will go through? Don't miss our Humphries vs Smith betting preview with predictions, betting tips, best odds, live stream, bookie offers and no deposit free bets! We are giving away a Nintendo SNES this month! Join our TalkSPORT competition here! Luke Humphries caused the biggest shock of the World Darts Championship as beat defending champion Rob Cross 4-2 after being 2-0 down in a thrilling last-16 match. "Cool Hand" averaged 100.16 against Cross and chucked in seven 180s. Prior to that, he beat Adam Hunt (3-0) Stephen Bunting (3-1) and Dimitri Van den Berg (4-1). As a result, he has only dropped four sets during his rampaging run. Michael Smith reached the last eight with a 4-1 victory over Ryan Searle, averaging 100 for the second successive game, hitting 10 180s and taking out three 100+ checkouts in an impressive display. The Premier League and World Series of Darts Finals runner-up also beat Ron Meulenkamp in Round 2 (3-1) and John Henderson in Round 3 (4-2). These two darters have met each other twice (both in 2018) and Michael Smith came out on top in both occasions. Whoever wins this quarter will be hot favourite to beat either Dolan or Aspinall in the semis. Don't settle for the first odds you see around. Taking the best prices on the market is the most important thing in betting! The following are the highest odds on the Luke Humphries v Michael Smith match winner market. We only bring you odds from the best betting sites in the UK, so you receive not only the very highest odds, but also the ultimate betting experience. Our darts punters have deeply analysed all the stats and info regarding the two teams and you can find below our recommended bets on Humphries vs Michael Smith. Feel free to copy them and leave a comment below if you bash the bookies! Online bookmakers are offering tons of match specials on the PDC World Darts Championship. No matter what the score is, match specials are always worth looking into as they can seriously enhance your odds. Love to place your bets on the go? All the top online bookmakers we recommend here at BetAndSkill have their own mobile app and mobile site, accessible through your iOS, Android or Windows device. Find here the best betting apps for smartphones and tablets! At BetAndSkill you can find much more than Sports betting tips! We are the home of no deposit free bets and the best place where to learn new betting strategies and systems! 2) Sign in or register if you dont have an account and get your welcome bonus! 4) Select darts from the drop down menu and enjoy the match! You can watch live sport on your mobile, tablet or desktop including Soccer, Tennis and Basketball. All you need is a funded account or to have placed a bet in the last 24 hours to qualify. £50 FREE to get started! No deposit! New clients get £100 (non-withdrawable) to bet with. Keep what you win. Any losses over £100 are your liability. Market restrisctions & 7 day time limit apply. Account opening subject to suitability checks. Spread betting involves risk. Losses can exceed deposits. Full T&Cs apply. 18+. GambleAware.org. 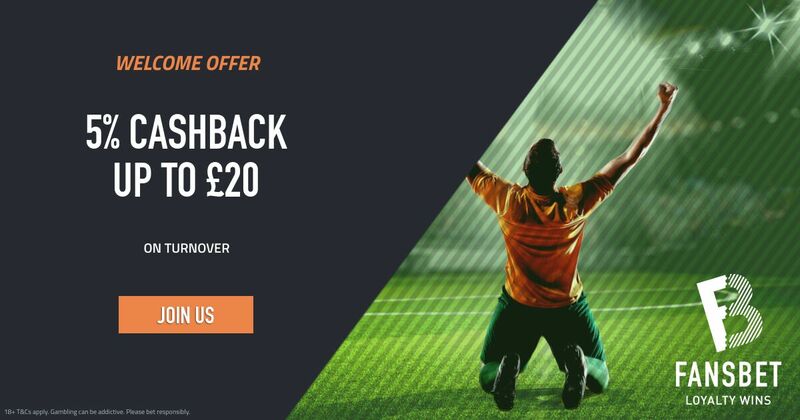 New customers only – Min deposit of £10 using deposit code 30f - Qualifying bet is a ‘real money’ stake of at least £10 placed on any sports market - Minimum odds of 1/2 (1.5) - Free bets credited upon qualifying bet settlement and expire after 7 days - Free bet stakes not included in returns - Deposit method and withdrawal restrictions apply - 18+. Full T&C’s apply. New customers only. Valid once per customer. Bonus expires after 30 days. 7x turnover at 1.6 minimum odds. 18+ only. BeGambleAware. "Luke Humphries v Michael Smith Betting Tips, Predictions & Odds (PDC World Darts Championship - 29.12.2018)"
35/1 Man UTD to win! Paid in Cash! Redbet offer 35/1 Manchester UTD to beat Manchester City tonight! Winnings paid in cash! 888sport offer 33/1 Manchester UTD or 33/1 Manchester City to win the Manchester Derby! Max bet £5! Expected Goals Explained - How Does xG Work?